It has been a little over 30 days since I started with the Organifi Green Juice program to get closer to my health and fitness goals and I have so much to share! In this post I’m going to take you through my Organifi Green Juice experience, right from how I heard about it, what the company claims, as well as, how the product affected my life over the last month. If you have lost hope of ever losing the extra flesh and stay fit, this post might just be for you! I can’t remember the last time I was at peace with my weight. 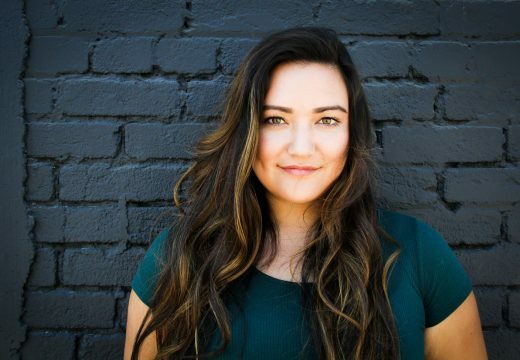 Most of my young life was spent fretting over how tight a skirt might sit around my hips or how I couldn’t wear a dress with an open back design for fear of looking unflattering. If you have been fat at some point in your life, you’ll relate to the constant stress and worry that being unhappy in your own body brings. My quest for a product to help me lose weight began after I noticed that I had put on a lot of weight in my freshman year at college. The pace of my life had shifted completely that fall, and I couldn’t keep up with the crazy demands of college without a lot of binge eating. I remember demolishing entire bags on candy brought from the Halloween aisle at Wal-Mart while writing essays or studying. The food I chose to eat at this point in my life was simply unhealthy and focused on taste, as opposed to delivering the right nutrition to my body. Honestly, I can’t blame myself for being weak. Surrounded by so many easily accessible fast food places, cheap mean deals, lots and lots of alcohol and junk food didn’t help me in any way. I would eat almost six meals a day on most days. I scarcely ate any fruit and vegetables in my diet were almost non-existent. Unless you count the occasional slice of pumpkin pie (You definitely shouldn’t). As my responsibilities increased, so did the number on the scale. In just one year, I had gained a whopping 16 pounds. The ‘Freshman Fifteen’ is no myth. I learned that the hard way. As I said, my diet was extremely unhealthy at this point of time. I used to be a part of the Swim Club in High School but I was exercising virtually never in college. Here are some other mistakes I made during this period that made me gain weight. Eating too much processed sugar in the form of pasta, bread, candy, chocolates, and full-fat dressings and sauces. Even as I write this it makes me wonder how I just let myself go so spectacularly. This part of my life was extremely stressful and these unhealthy habits only made my body feel tired, fatigued, sleepy, bloated and weak. I had begun hating my body and I decided that enough was enough. When they say ‘once you hit rock bottom there is nowhere to go but up’, I think they make a solid point. At my lowest ebb I weighed 165 pounds! With my 5.6’ frame all that weight just made me look unflattering. There was nothing in my closet that fit me anymore. When I had first started gaining a few pounds I hit a few thrift stores to find myself some clothes that would fit. My shoestring budget wouldn’t permit me to shop anywhere fancier. At this time I remember feeling so unconfident that I would skip social events and parties. I had watched a few inspiring people on Instagram who posted about their fit lifestyles, but it was very overwhelming for me begin a grueling routine. More importantly, I knew I wouldn’t have the time to dedicate hours from my already-busy day to exercising. At this time, I came across a documentary called ‘Fat, Sick and Nearly Dead’. The title itself caught my attention as it described my reality. Well, I wasn’t technically sick at that point. But I knew that unless I changed my habits, I would get sick. This ‘Diet and Road trip’ documentary follows Joe Cross, an Australian man with an auto-immune disease driving across USA while being on a 60 day juice diet to ‘reboot his system’. From the very beginning, I found myself inclined towards trying this new approach to healthy eating. Rather than struggling to cut out certain foods from my diet, I wanted to add more vitamins and fiber to my diet. This was my –aha- moment!! Juicing promised to help me take on the challenge of talking my fitness issues while giving me better overall health. Better Nutrient Absorption: When you blend vegetables or fruits, you’re essentially pre-chewing them. This makes it easier to swallow and digest. By juicing, you also take away a lot of bulky pulp from the fruit or vegetable, leaving only the vitamin-rich liquid gold. These kinds of juices are far more nutritionally dense and can help supercharge your body’s cells. Your gut is able to absorb the nutrients faster and since you can drink a lot more juice than you can eat vegetable or fruits, it’s a win-win situation. Supplies Good Bacteria To The Gut: Did you know that over one third of your immune system resides in your gut? Honestly speaking, I did not. This figure shows that keeping your gut healthy by supplying it with the right nutrients in important. Vegetables are one of the best sources of gut-friendly prebiotic bacteria (i.e. good bacteria) that keep your digestive system healthy. Helps in Lowering Cholesterol Levels: While there are many different factors that influence cholesterol levels in the body, avoiding saturated fat is known to help. When you start juicing every day your consumption of vegetables increases considerably. Combine it with a diet low in red meat and you can take on high cholesterol. I had read up on the various benefits of juicing and consuming green juices and I was ready to get started with a new lifestyle. However, being a college student with limited time and resources, juicing would be virtually impossible to incorporate into my routine. With so much cutting, chopping, blending, sieving and washing up to do, I felt defeated. There was no way on earth that I could get my life in order by juicing this way. However, I didn’t really give up that easily. I started looking out for healthy substitutes that didn’t need me to put in so much of my effort and time. Was there a way for me to get fit and healthy without completely losing my mind? This is when I came across Organifi Green Juice on the internet. Organifi is a successful and influential company that makes supplements for a healthier life. With over two million Facebook likes and a large following on other social media sites, I realized that this product was not something I should overlook. It is normal to be apprehensive about buying nutritional or dietary supplement products online. But with Organifi, there are so many reviews from people who have used the product that I was excited to try it for myself. Created by Drew Canole, Organifi is a superfood drink that was created with a view of making the world to a healthier place. As I read through the official Organifi website, I felt reassured knowing that Canole is not some fresh-off-the-block fitness enthusiast. He has dedicated his life to helping people create a healthier and more prosperous life for them. What I liked about the company was their single-minded focus to delivering an easier, more accessible way of healthy eating in a fast-paced world. As a college student who is usually low on time, this sounded too good to be true. 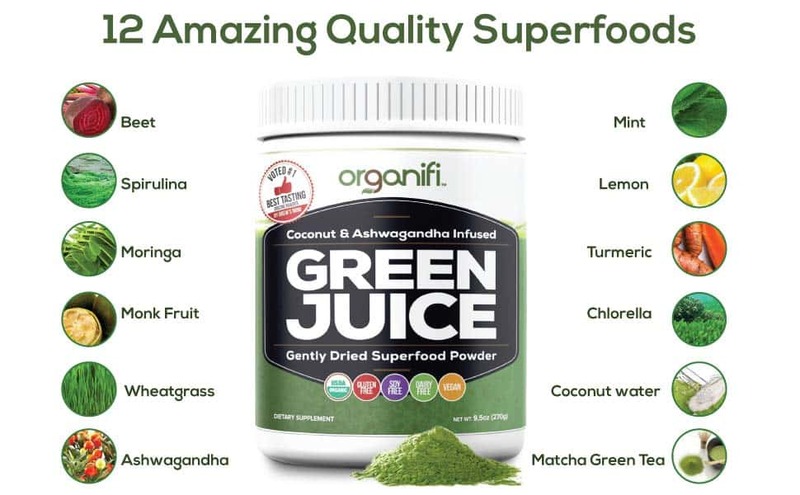 The Green Juice from Organifi is their flagship product and they describe it as a ‘gently dried superfood powder.’ The official company website states that this product is a great way to receive all the healthy superfoods in a glass without any extra hassles of chopping, blending, juicing or even the annoying clean-up that follows. There were a lot more details available on the website including the healthy superfoods and their benefits as well as the benefits this product delivers. However, I was sold at their ‘No chopping, no blending, no juicing and no clean-up’ pitch. As far as credibility goes, I read various testimonials on the official Organifi website about the product. These testimonials and reviews came from the users of these products and while not everything was perfect, the company seemed to be the right fit for me! I ordered the Organifi Green Juice from Amazon at $72.99 plus shipping. While I was going through the reviews section on Amazon, I found some reviews where people were complaining about the contents of the container package being only half-full. However, a commenter confirmed that the container packs the advertised 9.5 oz (30 servings) and the bottle’s size is irrelevant to the total product quantity you receive. In fact, the commenter found that there were approximately 36 servings in the pack. I read more reviews from people who claimed to enjoy increased energy levels, reduced fatigue and clearer skin apart from weight loss and improved overall health. My Organifi Green Juice arrived shortly and I was as excited to get started as it was possible to be. Here are my ratings for the product based on taste, effectiveness, price and value for money. Before we delve into rating this product on taste, let’s understand one very important thing. Since this product is a green juice that is considered one of the nastiest and most difficult items to stomach even by healthy eating aficionados, it isn’t fair to expect something exceptionally lip-smacking. If you wanted the health benefits of broccoli in its most untouched form, you would want your broccoli to taste like broccoli. Similarly, since Organifi Green Juice is made from natural and organic vegetables and superfoods, you can’t expect it to taste like caramel, chocolate or peppermint. However, with that being said, this product is nowhere nearly as overpowering on the taste buds as many other vegetable juice products are known to be. People who usually struggle with the taste of green juice will definitely find this product to be a lifesaver. The taste of this product can be best described as minty. However, it is not overpoweringly so. You can easily incorporate a scoop of this product in your favorite juice, smoothie, protein shake or even consume it by mixing it into a glass of milk or water. There are sweet undertones to the drink which make this a very pleasant-tasting experience. This sweet taste comes from the moringa root and not some synthetic sweetening agent, making this a truly unique and naturally wholesome option for health aficionados. What I best enjoyed was the easy miscibility of the powder into any liquid and how it didn’t feel gross to drink. The consistency may be a little thick for some people, but lovers of smoothies will appreciate the slightly bulky consistency as it satiates you completely. I believe it is this bulk that makes you feel full and prevents you from reaching out to unhealthy foods to fix your hunger or cravings. What are the advertised benefits of Organifi Green Juice? The product is made of 100% certified organic raw ingredients. This means that it contains no additional GMOs, soy or gluten. This makes it easier for people with gluten allergies or even lactose intolerance to enjoy the benefits of this juice. Since the product is a ready-to-use powder, it saves time that would have otherwise been spent on shopping for vegetables, chopping, blending, juicing or shopping for healthy vegetables. 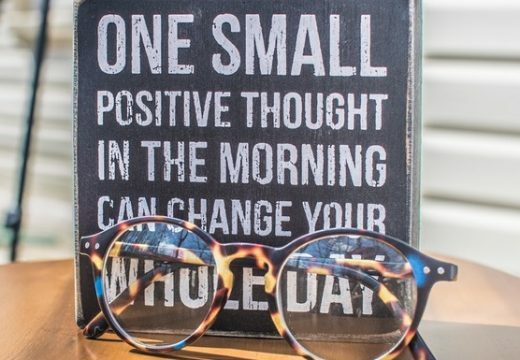 The unique blend of superfoods in this product claim to help boost your brain power and offer better mental clarity. The Organifi Green Juice product is said to naturally support mental clarity and overall health. This product is said to help in improving the overall quality of your health as it detoxifies the body and eliminates excess fat content within the body. This makes the product ideal for those who want to jumpstart their weight loss journeys or simply want to become leaner or fitter. The Green Juice also boosts your stamina and immune system’s function which is known to help in keeping your body protected from a host of diseases. It is also known to enrich your body by providing it the necessary nutrition. All of this without the need to alter your entire diet. The blend of superfoods in this product are known to promote healthy and clear skin, making you look and feel younger in both, spirit and mind. Since it contains a balance of hormones within the normal ranges, it helps in resting the cells of your body and de-stressing you. This is also great as a detoxification agent. Since the slightly thick consistency of the juice is a great way to feel full, it prevents you from eating too much throughout the day and supplies you with enough energy to work out. Free from any animal contents, this product is a great choice for vegans. A vegan diet is greatly supplemented with this juice as it supplies a wealth of vitamins and nutrients to your body. As I started consuming the Organifi Green Juice every morning, I noticed that I was experiencing many of these positive benefits listed above. Here is a comprehensive run down of how effective I found this product for my personal weight loss and health improvement regime. Convenience: While some may argue that this is not really a ‘positive effect’ of using Organifi Green Juice, I would still like to highlight it because this feature was the key attraction to me when I considered buying this product. As someone with limited time, money and resources, this was a blessing. Green Juice gets a full 5/5 for being extremely convenient. It took me literally a minute and 30 seconds to make this drink each morning. All I had to do was scoop out a serving; add it to a glass of milk or water, stir and drink. On a few days I added it to a banana, strawberry, kale and coconut milk smoothie. Without any added steps to getting my daily fix of green goodness, this feature remains my personal favorite. If you are constantly on-the-go, this product will be a literal lifesaver! Better Nutrition Consumption: When I was reading through the official website of this product, I learned that the several natural and organic ingredients that make up Green Juice are wonderful for my health. Since each spoonful of the product gives anywhere between 9-10 grams of superfoods in each serving, your body receives a boost of nutrients that are otherwise difficult to ingest in this density. I certainly felt a boost of increased energy that accompanies higher nutrient consumption. However, although you get a dose of nutrients through this product, you should still eat healthy to ensure that you remain truly healthy. After all, no single product can replace the holistic benefits of a healthy lifestyle. Boosted Immunity: This product contains essential ingredients proven to boost immunity and stamina. Since I started consuming this juice I felt much more energized and didn’t fall sick even once. While a month is not enough time to ascertain if it really does effectively keep me protected from the flu or other such low-immunity diseases, I believe it counts for something. One difference I noticed is that my period cramps were much less pronounced this time around. However, the website doesn’t claim any relief from menstrual cramps or discomfort. This was purely my own observation. I believe the increased nutrient flow in my body certainly helped. Decreased Stress Levels: The most common causes of stress are attributed to poor sleep cycles, smoking, excessive consumption of alcohol and a variety of other factors. In all honesty, I wasn’t drinking at all during this 30 day period and I have never been a smoker. While this may have helped in part, I think the product in itself was very helpful in making me calmer. I was able to fall asleep faster in the nights and the intensity of my daily frustrations became much easier to tackle. I personally found this product very effective in decreasing my stress levels. Detoxification: One of the key benefits listed for Green Juice state that it is good at detoxifying the body by flushing out toxins from the body. When there are excessive amounts of toxins in the body, fat doesn’t burn easily as metabolism is affected. Dtudies show that over 36.5% of the adult population in USA faces this problem. Upon using Organifi’s Green Juice I noticed that I needed to go pee more often. The first few days I noticed darker colored urine and this is a known side effect of toxins being flushed out of the system. I certainly felt fitter and less tired after the first 4 days of using this product and I accredit it to the detoxifying effects of this product. Improved Mental Clarity: Studies show that when a body receives the whole bunch of essential vitamins and nutrients it requires in the correct amounts, mental clarity and cohesion as well as response rates are improved. I certainly felt more alert and awake since I started with Green Juice. I can best describe the feeling as ‘charged up’. I could wake up from bed well rested upon hearing the day’s first alarm. No longer do I need to set extra alarms to get me up in the morning. I’ve essentially bid adieu to the ‘snooze life’. Even when it comes to studying, I see myself grasp new concepts faster because I can concentrate better. My caffeine intake has decreased as well. I simply don’t need anything to keep me awake or help me power through the day. Honestly, if Green Juice can make a college student like me get through the day without any coffee, it is certainly worth a shot! Overall Improved Health: Health means different things to different people. To me it refers to my body’s ability to function at optimum levels, both physically and mentally. As I continued with Green Juice, I noticed my fitness and resistance improve. In the fourth week of my tryst with this product, I could run short distances on the treadmill. I was able to start working out from the end of the second week itself. Additionally, I feel like this product gave my body a sense of renewed energy. This is what kept me hooked on to the green goodness. Gluten-Free and Vegan Product: This 100% organic juice product is free from any additives and artificial compounds. Since it is completely natural, there are no side effects to using it daily as a supplement to your diet. This was a huge bonus for me as I could see that apart from improving my health and helping me lose weight, it fit in perfectly with my endeavors towards a vegetarian lifestyle. Weight Loss: Although I have saved this point for the end, it is certainly a very important benefit I experienced on using Green Juice. Given how it produces a holistic effect on the body and immune system, it helps in aiding weight loss. I have lost a total of 8 pounds since I started this Green Juice. However, this is a guaranteed loss of fat and not just water weight. My increased energy levels have made it possible for me to squeeze in 30 minute workouts almost 3 times a week. All of these benefits have combined to help me sustain a healthy lifestyle. Clearer Skin: The improved nutrient supply to my body proved to be a boon for my skin. My otherwise oily skin has become much more manageable and I haven’t had any pimples in the entire month. I find that when I consume a diet that is rich in ‘clean foods’ (whole grains, vegetables, fruits etc.) my skin is much happier and healthier. Since my system was actively detoxified I found that I had fewer breakouts. Improved Sleep: The cherry on top of the cake came after around two weeks of Green Juicing. My dark circles were much lighter than they have been all year. While I could attribute that to a more stress-free routine and an active lifestyle, I still feel that the product had a direct effect on improving my sleep patterns. I don’t take a lot of time to fall asleep like I previously did. I wake up well-rested. Improved Bowel Movements: Given the junk food and alcohol intake of my more unhealthy days, I never had regular bowel movements. However, the high fiber content in this product helped regulate my digestion. I haven’t been constipated or bloated even once since I started with Green Juice. Taste and Consistency: As I mentioned before, the taste and consistency of this product might not be very palatable to some people. The slightly bulky consistency is great for filling you up, but it could also be difficult to swallow and stomach. People have been known to find the taste a little difficult to get used to. Personally, I find that if I coupled the powder with tasty ingredients I like (kiwis, berries, milk etc.) it was way more easy to consume. The Smell: Organifi’s Green Juice is no stinky. Mean, green concoction. With that being said, the earthy, grassy, vegetative smell of the product took at little time to get used to. Since there is no added flavoring agent, the realm, natural scent shines through. This could be a potential con for many users. No Quick Fix: Many people who are looking for weight loss solutions assume that Organifi’s Green Juice will be a miracle cure. Sadly, this product’s benefits are best enjoyed through a consistent regime. You can’t get any instant results with this product. Unless you stick to it for a week or two, you won’t be able to enjoy the host of health benefits that Green Juice offers. Personally, I feel that this product delivers excellent value for money. It sells for around $72.99 on Amazon for a 30-day supply. With 30 servings (36 if you consider some reviews) that comes to just above $2 a day. Green Juice contains chlorella, spirulina, Moringa, mint, matcha green tea, beet, wheatgrass, ashwagandha, monk fruit, turmeric, lemon, and coconut water. I doubt many other products deliver such a wide host of superfoods in that price. Cheaper than your average cup of Starbucks with far more nutrients, I’d say it gives great bang for your buck! After I had made my purchase on Amazon I realized that the product is slightly cheaper on the company’s website ($69.99). I’ve ordered my next batch directly from the website and I’m currently awaiting delivery. I like the fact that they offer a 30-day refund policy that covers purchases. While I was extremely satisfied with my Green Juice experience, if you aren’t you can always get a refund on your purchase. This added element of being risk-free is a great benefit for those who are still a little apprehensive about purchasing. Given how this product helped me get the results I desired I rate it 4.7 out of 5. I consistently used this product for 30 days with no side effects and considerable weight loss in a healthy and sustainable manner. It perfectly fit into my diet and didn’t demand too much from my incredibly busy schedule. However, I believe that the benefits I enjoyed from this product would not be possible if I wasn’t consistent and disciplined. If you start with Organifi Green Juice, I recommend using it consistently for at least a week so that you can experience the benefits. I hope this review helps you make a choice and get closer to the healthier lifestyle you’ve always aspired for!